Here's a note from Vladimir Tupikov at Moran Yacht & Ship in Moscow that he has a 44m superyacht berth for sale at Port La Napoule at Mandelieu-la-Napoule. 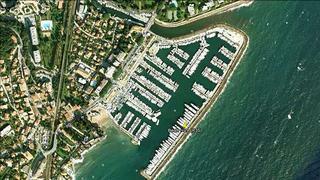 Berth number 29 (R35) has a beam of 8.1m and, situated near Cannes, is an ideal base for cruising the Mediterranean. With a lease until the end of December 2024, the berth is priced at €3.1 million.